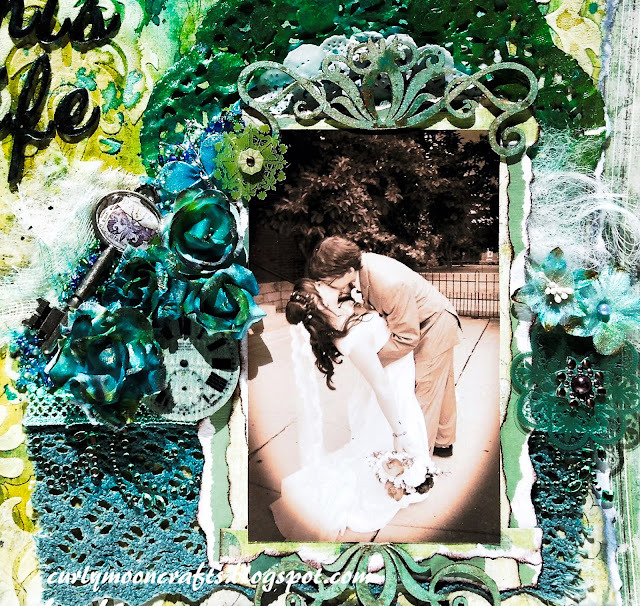 Hi Friends: Today's creation is a scrapbook layout of my daughter's wedding. I selected some of my favorite MME papers and prepped the top layer with clear gesso. 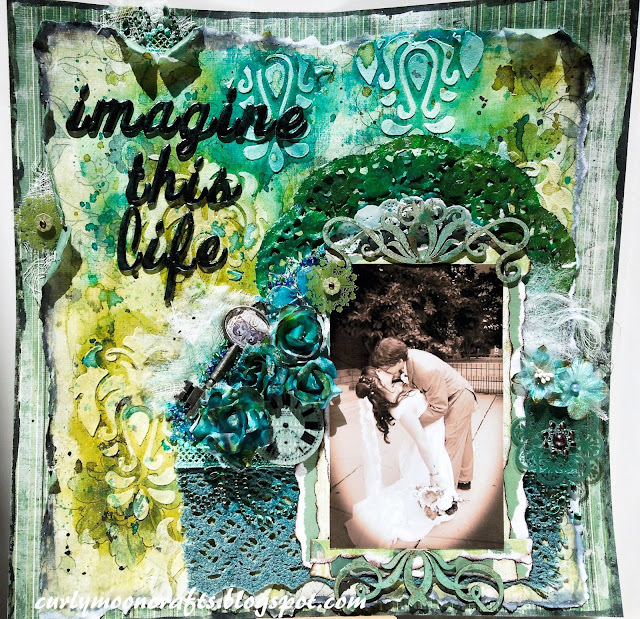 I used embossing paste and the Teresa Collins Damask stencil to add some texture and dimension. I got really messy and used Lindy's Stamp Gang sprays to color my doily and flowers (colors listed below). I used the same sprays to color the background. (As usual, the photos don't fully capture the sparkle of the LSG sprays - they are truly sparkly and lovely in person.) I used Distress Stain to color the cotton lace. The Blue Fern Brittania Flourish chipboard and the title letters were inked with Versamark, then heat embossed with LSG embossing powders (colors listed below). 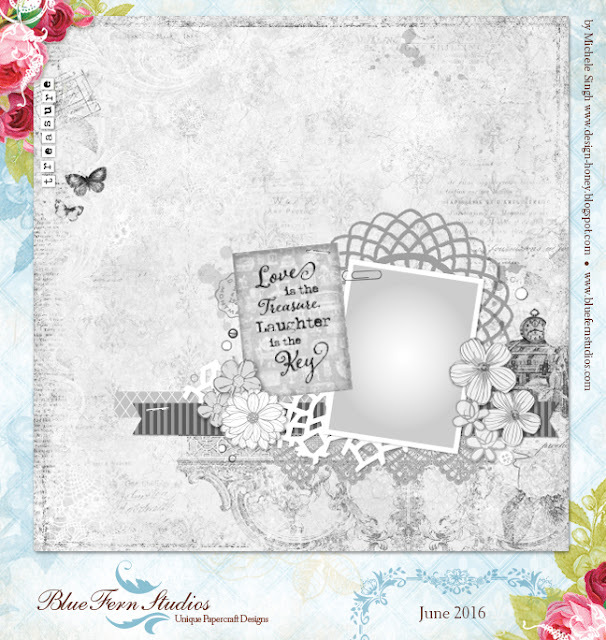 I backed the photo with the same MME papers, then added it to the layout over the ribbons, lace, and doilies. All other flowers, chipboard, and embellishments were added, with a bit of cheesecloth peeking through. I finished with a bit of beads and some LSG ink splatters. Thanks for taking a peek! Have a super weekend! Wow Patti you sure got your messy on here. 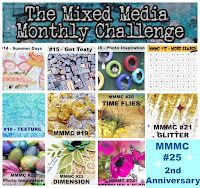 Love what you have created, the textures and the colours. Awesome. Love the photo too. 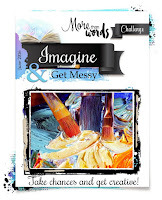 Thanks for playing along with us at More Than words. Oh what a gorgeous background and beautiful colours! That picture is fabulous! 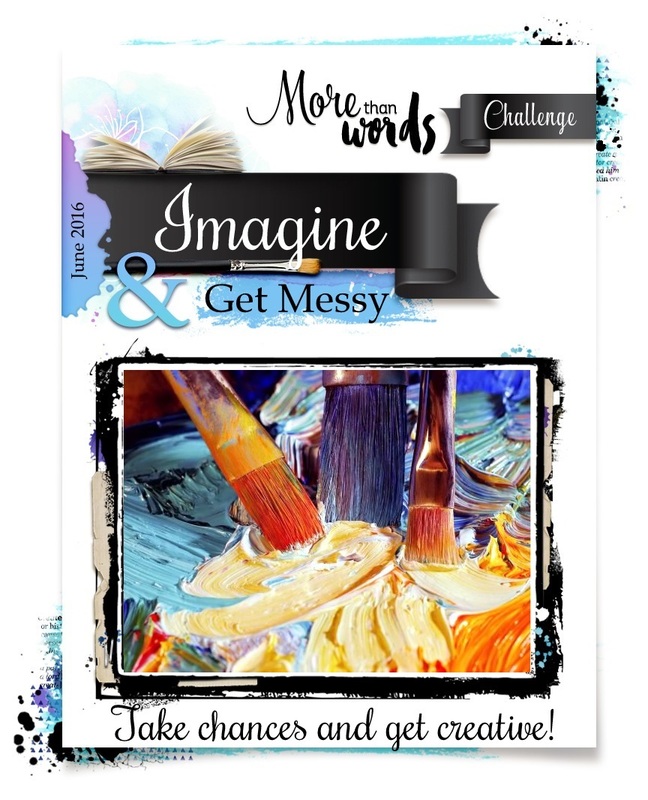 Thank you for getting messy with us this month at More Than Words! brilliant bakground and ofcourse proyect! 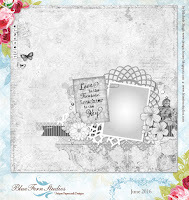 Fabulous work on the layout and what a fun photo. Love your LO and the amazing texture - wow!! Love the embossing paste detail and the watercolor look!! 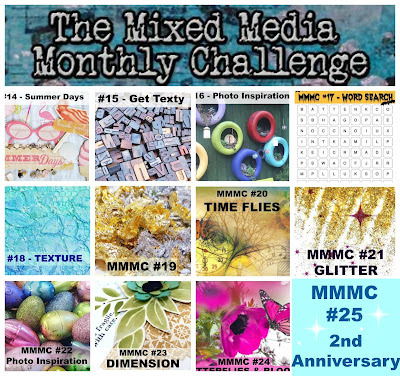 Thank you so much for playing along with us at The Mixed Media Monthly Challenge! Such a powerful layout! Thank you for playing with us at More than Words! What an amazing LO! The photo is priceless and your intricate BG work is outstanding! Gorgeous design! Congrats on your SSS spotlight!